Writing in the Wall Street Journal this week, Gerald Seib rightly reminds us that presidential campaigns are won and lost state by state in the Electoral College, not in the nationwide popular vote. (Once in a while, this turns out to be a distinction with a difference; just ask not-quite President Gore.) Based on state results from the past five elections, Seib argues that the Electoral College gives Democrats a distinct advantage: They’ve won the same 18 states plus the District of Columbia, totaling 242 electoral votes, in each of those elections, compared to only 13 states with 102 votes for the Republicans. I can’t argue with Seib’s math, but the question is whether it leads all the way to his conclusion. Strictly speaking, one party enjoys a structural advantage in the Electoral College if its popular votes are distributed more efficiently than the other’s. If so, that party should be able to win an Electoral College majority with less than 50 percent of the two-party popular vote. We can test that proposition by applying the vote efficiency metric to the actual 2008 results. In 2008, Barack Obama beat John McCain by 365 electoral to 173. Now let’s do an alternative history based on two assumptions: (1) the two-party popular vote was evenly divided; and (2) Obama’s margin of victory in each state was reduced by the same amount—7.26 percentage points—yielding an equal division of the popular vote. Under that scenario, Obama would have lost five states that he actually won—Indiana, Florida, North Carolina, Ohio, and Virginia, which total 86 electoral votes—but still would have prevailed in the Electoral College, 279 to 259. That would seem to validate the hypothesis that Democrats enjoy a structural edge: They get 10 more votes than an even split would yield. But not so fast: The 2008 presidential election was the last to be carried out based on the 2000 census, and the distribution of electoral college votes did not reflect population shifts that had occurred in the ensuing years. The 2012 presidential election, on the other hand, will reflect those shifts, and it makes a difference. Reapportionment shifted six electoral votes from Democratic to Republican states. If we rerun the 2008 election with the 2012 electoral vote allocation plus an even split of the popular vote, Obama wins by a very narrow margin—273 to 265. So the current Democratic structural advantage is four electoral votes—not nothing, but not much either. The probability that Obama could win reelection without a majority of the popular vote is extremely—vanishingly—low. Readers who haven’t lost patience with this jeu d’esprit might be interested in the end of the story. Given the assumptions underlying the math, the state that Obama carries most narrowly and that puts him over the top is … Colorado, which he would have carried by 1.7 points—50.0 percent to 48.3 percent—with an even division of the popular vote that reduced his margin in every state by 7.26 percent. (For the mathematically challenged: subtract 3.63 percent from the 53.66 percent of the vote Obama won in Colorado in 2008 and add it to McCain’s 44.71 percent.) Indeed, Seib singles out Colorado as a state Obama must win in the event that he loses Ohio, and David Axelrod has publicly identified that state as a key electoral template for the president’s reelection campaign. Now back to the real world. The last Democrat to win the White House without carrying Ohio was John F. Kennedy, who pulled off the feat with 73 electoral votes from south of the Mason-Dixon line and another 26 from the border states of West Virginia, Missouri, and Arkansas. Obama’s likely haul from that territory: zero. And as Seib points out, the president is facing an uphill climb in much of the Midwest and Mid-Atlantic region—including Michigan, Wisconsin, and Pennsylvania, all of which went his way by larger margins than did Ohio. 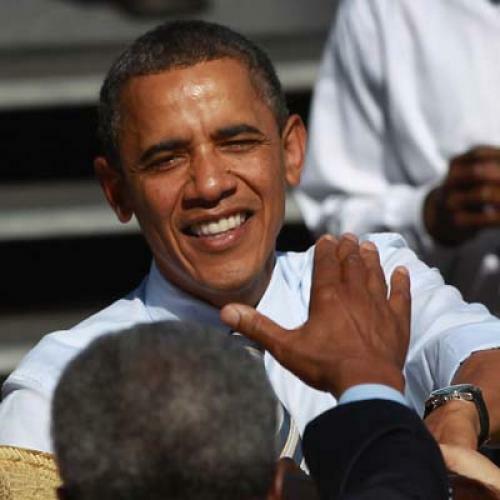 (For more evidence, see the latest Pennsylvania survey, which finds that 54 percent of registered voters disapprove of Obama’s performance and 51 percent don’t think he deserves reelection, while it has him running even with Romney in a state he carried by 10.3 points in 2008.) In short, the president won’t have the luxury of building his campaign on a solid-blue foundation of 242 electoral votes in 2012. So what does this all mean? Barring unlikely circumstances, the core challenge facing the Obama campaign is not to execute a thread-the-needle Electoral College strategy. It is rather to spend the next thirteen and a half months giving the people credible reasons to believe that the economy will fare better in a second Obama term than it did in the first.